Twenty-seven years ago today, God blessed me with another son. I can’t believe how fast the time has gone by. I am so lucky to be his mother. He fills me with love and pride as I see the man he has become. And this year, on November 16th, he will be getting married and presenting me with a daughter, Jess, who my husband and I love and consider her our daughter. Happy Birthday Mark!!! I Love You!!! Clocks change this weekend here in the US, which means one less hour to read … does anybody else begrudge that hour like I do? Wish the Powers That Be would just pick a time-frame and stick to it instead of inflicting clock-driven jet lag on an innocent public twice a year? I agree. I understand some of the reasons, such as it being dark when children are waiting for buses to transport them to school, but wish that the time changes be done with. I don’t know about you, but it takes me at least a week for my internal clock to adjust. And I find that, during the winter when it gets dark at 4:30pm, makes the evening seem so much longer. I am very much looking forward to the longer sun filled days. What about you? Does the time change affect you in any ways? Do you wish that changing the clocks be abolished? I have many reasons why I “love” reading. One is to escape into the pages, tuning everything out around me, which also relaxes me. Being able to “travel” at without airfare :). Becoming “friends” with the characters. And when I read novels of the mystery/suspense genre, becoming the PI to try and find out the “who dun it”, which isn’t often because the writer has written an intricate puzzle. Plus, I would much rather read and use my imagination to create a movie in my mind than watching a movie. What about you? What do you love about reading? Hi All: I haven’t been participating in memes lately for a couple of reasons. PICT and PBP tour companies have been keeping me very busy with all of our tours. 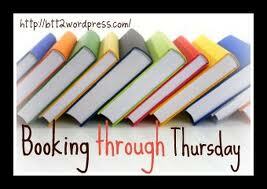 I invite you to stop by and see what great titles have been booked. If interested in any of the titles and think you would like to participate, there is a form on either site to fill out. And then, over this past weekend, had some major computer issues, which resulted in something I wasn’t anticipating, to purchase a new laptop since the old one crashed. I have been trying to transfer all of my files and sites to the new one to bring it up to speed. Not a fun task!! But getting there. It’s the depth of winter here where I live right now … what books do you like to read when it’s snowy and white? What books do you read to evoke a real feeling of winter (good or bad)? Any reading resolutions for the new year? Reading more? (Reading less?) Reading better books? Bigger books? More series? More relaxing books? And hey, feel free to talk about any other resolutions you might have, too … or why you choose NOT to have any. Resolutions…wondering does anyone really keep their’s throughout the year. I know I never have so I don’t really make any. Hower, I do have “hopes” for the New Year. Some include reading and other’s personal. When it comes to reading, I hope to make time for more reading. This past year due to health issues and being very busy with the VT companies, which is a great thing, I just couldn’t find the time to read. And if I did, I found myself dozing off, which could be age lol. On a personal level, 2013 is going to be an exciting year for the “Mash” family with our youngest son getting married on Nov. 16th. And with that comes mother of the groom dress shopping, planning a shower, rehearsal dinner and all the other things that the groom’s parents need to do. However, I refuse to shop for a dress before I take off the weight I put on since my surgery. So diet is my #1 goal. What about you? Any resolutions either for reading and/or personal? Would love to hear!! So … you’ve just finished reading a book. For the sake of the discussion, we’ll say it was everything a book should be—engaging, entertaining, interesting, thought-provoking. The kind you want to gush over. The question is—do you immediately move on to your next book? Or do you take time to contemplate this writerly masterpiece and all its associated thoughts/emotions/ideas for a while first? What a great question! Don’t you think? I have 2 responses since my reading habits have changed since I became active in this community of book bloggers. Before blogging, I would have gone instantly onto the next book. But for the past 3+ years, I don’t and the reason is reviews. I just finished reading Goodnight, Brian by Steven Manchester a 5+ emotional read. This story will stay with me for a very long time as did his other novel Twelve Months. Since I write my review of a book before starting another, I would say that I do take time comtemplating the read, pulling my thoughts together, thinking about it’s pro and cons, if any and what I felt while reading it. However, when I’m almost done with the book, I may start thinking what book I should read next. But sometimes, a book touches me so deeply, like Goodnight, Brian did, that I have to take a couple of days before picking up another because the next book has to be just as good. I wrote my review yesterday and still can’t decide what my next read will be. What about you? Do you rush and start the next book because there is so little time and oh so many books or do you take your time?